Our neighbors at the Flying Squirrel make a granola full of dried apricots, walnuts and crunchy goodness. And of course they use our pure birch syrup as part of the sweetener! Delicious … and available in two sizes, 6 oz and 1 pound. 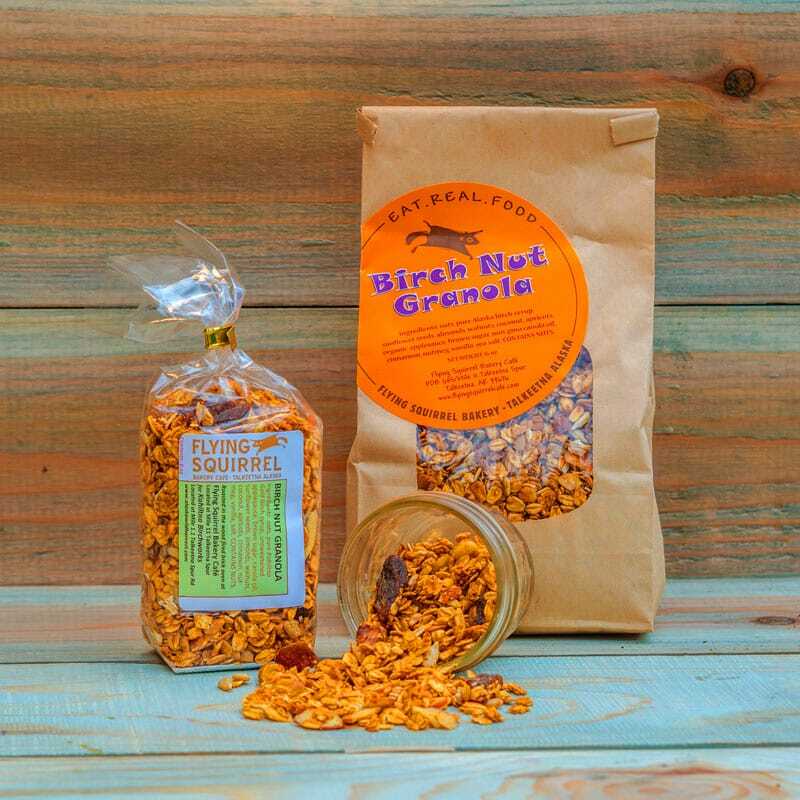 Flying Squirrel Birch Nut Granola is made by former “sap sucker” Anita Golton at her well-loved Talkeetna Bakery and Cafe. Made in her wood-fired oven, this granola is full of dried apricots, walnuts, and crunchy goodness! Lightly sweetened with our pure birch syrup and a little brown sugar. Available in a 1/2 or 1 pound bag.